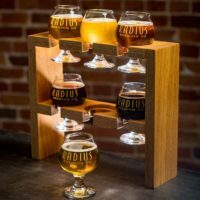 Radius Brewing Company is Emporia’s first brewery since prohibition. 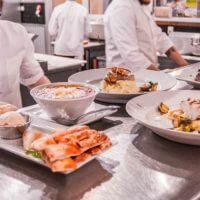 Try artisan-style appetizers, salads, sandwiches, soups, wood-fired brick-oven pizzas as well as a rotating Chef’s Menu. 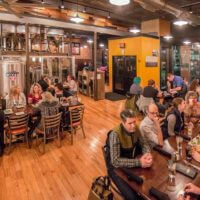 All of this is complemented by craft beers which are brewed in the middle of the dining room. 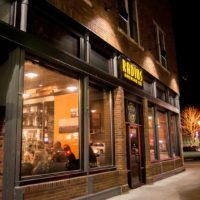 Radius Brewing Company is the town’s first brewery since prohibition and a full-service restaurant located in downtown Emporia. 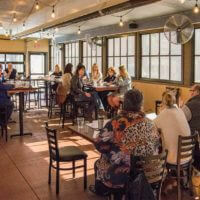 The new climate controlled enclosed patio offers the perfect meeting spot for groups up to 50 people. 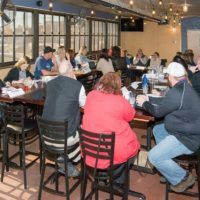 Small groups can order from the regular menu, which includes sandwiches, salads and brick oven pizzas or make arrangements with Chef Gus to cater a larger group. Gluten-free and vegan options are available. 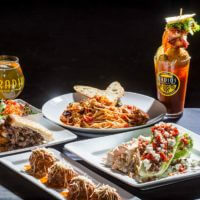 The after 5:00 menu at Radius offers steaks and a weekly rotating chef’s menu usually consisting of fresh seafood, pasta dishes and a specialty pizza. 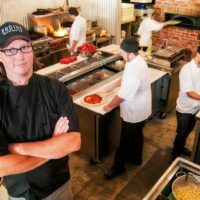 Their open kitchen concept allows diners to watch their meal being prepared and pizza dough being tossed. Complement your meal with an in-house line of craft beers brewed by owner/brewmaster Jeremy “JJ” Johns in the 3 BBL brewhouse located right in the middle of the dining room. The beer list includes five year-round beers accompanied by rotating seasonal/specialty selections. A full bar with wine, bloody mary, and martini lists is also available for those who prefer something other than beer. Personal celebrations- wedding receptions, reunions, birthday/anniversary parties, etc.